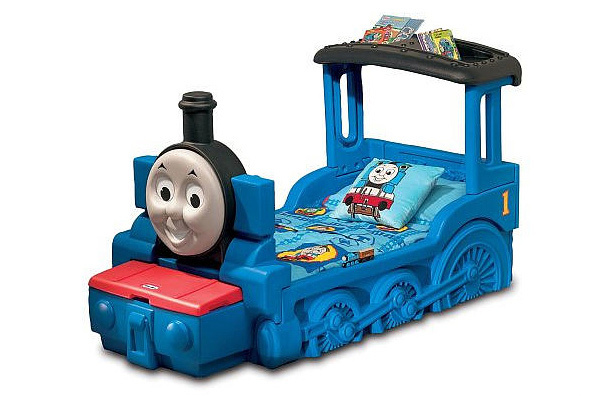 Every little boy dreams to get a bed that is transportation themed. Those are bed shaped like cars, boats, ships, trains, airplanes and even space ships. Giving boys these kinds of beds make them love their bedrooms even more and this will also help develop their creative minds and imagination. That is why parents would give their boys beds that are shaped and designed like real transportation. Amazingly, designers had come up with various versions of beds with this theme. These go well with themed bedrooms for boys and like what we said, this will surely make them feel very much excited and totally special. 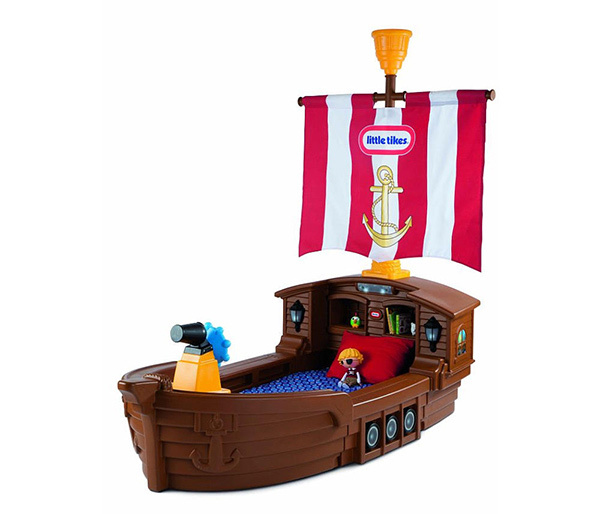 So, if you are currently looking for toddler beds for your little pirate or car racer, then this could be the perfect list for you. Check on the images we have below so you will get ideas on what you can get for your child. 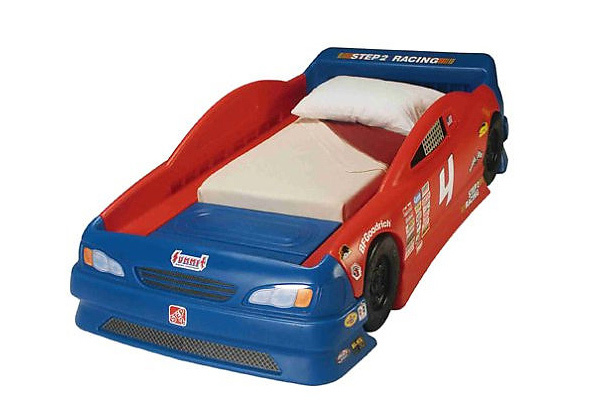 Add fun to your boy’s bedroom with this beautiful racecar bed in red and blue. Choo Choo! Go running down the track with your little one on this Thomas train. With this kind of bed, your storytelling before bedtime will even be more exciting! Sail to the seas like a real pirate on this pirate ship! Your kid can even sail with his Laloopsy Patch Treasurechest pirate doll. 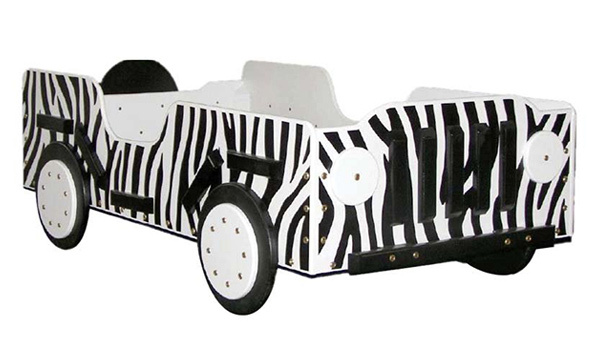 This racing car bed grows with your child for it can be extended from a crib to a twin size bed. Aside from being an artistic addition to your boy’s bedroom, this boat bed also has a convenient storage compartment and decorative bed rails to keep your kids safe. Realistic details for a bulldozer are seen in this bed which will surely make your child feel excited to go to bed at night! 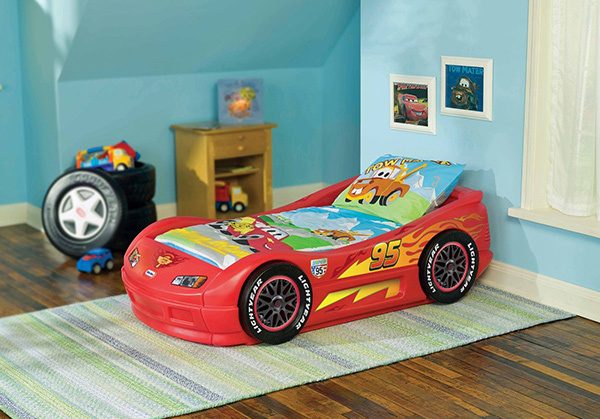 Your kid’s imagination will surely zoom like Lighting McQueen’s speed once he gets into this beautiful plastic bed. 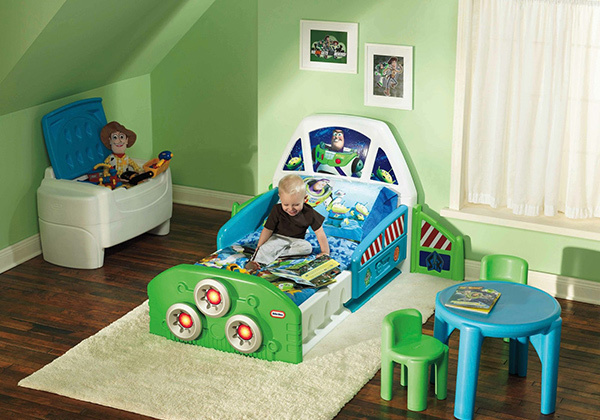 Let your little boy explore the Milky Way with this rocket inspired bed of Disney’s Buzz Lightyear. 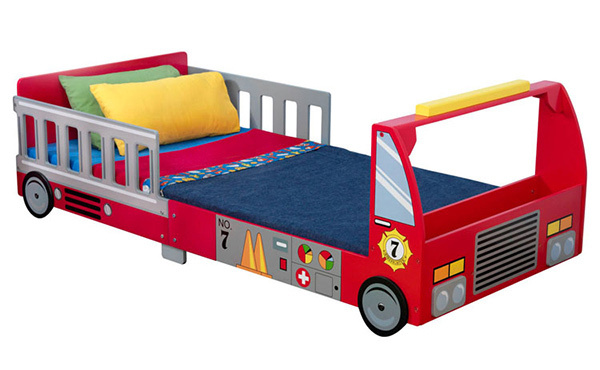 Give your boy the feeling of being a real fire fighter by giving him this fire truck bed. He would surely be as excited as a serene! Nothing could be more exciting than a card bed with lights! It would surely be like running fast on a the road with the lights on. A vintage top wing airplane bed would be perfect for your child. 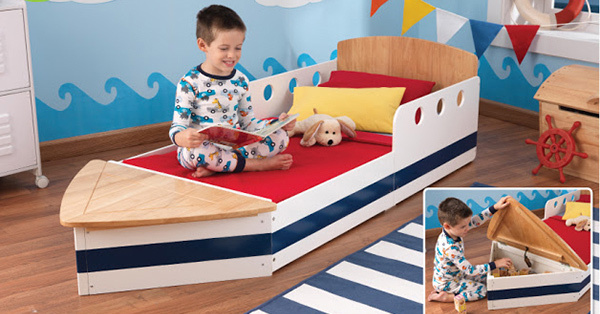 This bed can also be a playpen for your little boy who is eager to soar high! 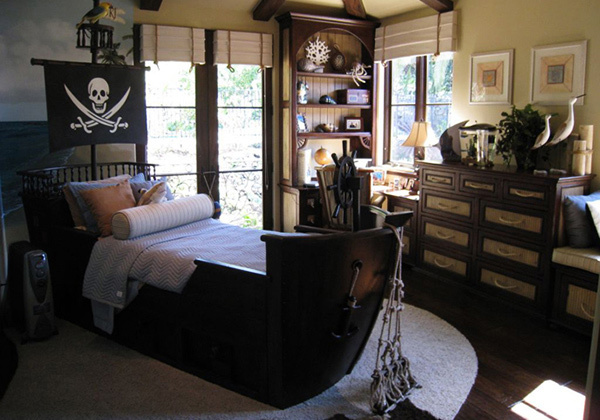 Another bed with a pirate theme. 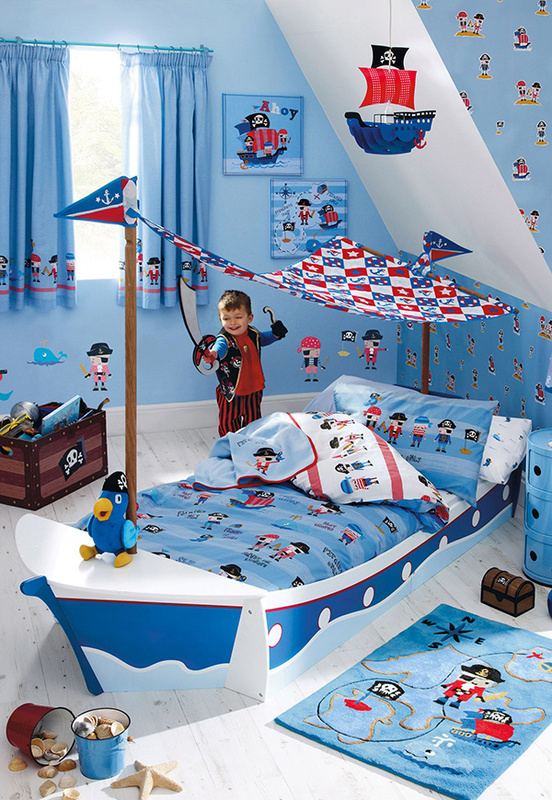 It will look even more pirate-y when you decorate the bedroom with these entire amazing pirate items. Explore the wild with this Safari Bed. It will surely bring in more fun adventures to your kids for this bed is also perfect for their playtime. Now this one would surely give your kids a real pirate feel because of its wooden finish, a steering wheel and a pirate flag. 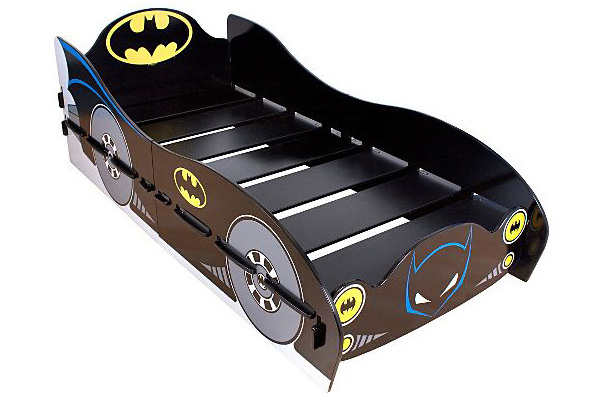 If your kid loves Batman, then this is the perfect bed for him! Let him save the world while on this bed! Isn’t this a fun list? Your little boy will surely be happy once they have a bed like the ones above. 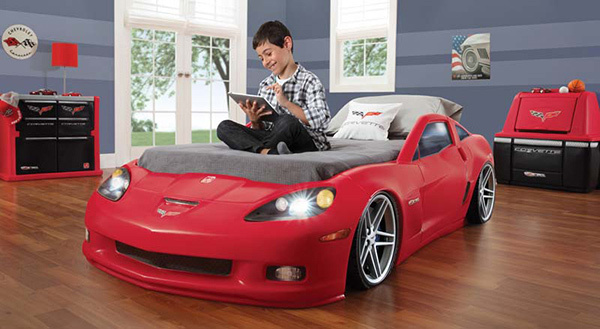 Transportation inspired beds can really be great for boys for this would improve their imagination and creativity. You can also look into sports themed bedrooms if your little boy is athletic and loves sports more than cars. Very good toys for little ones!! !